Learn how to sing and dance the Baby Shark nursery rhyme in this 10-minute video compilation for kids. With attractive and colorful sharks as well as other fishes, your child will be entertained while learning this fun song. 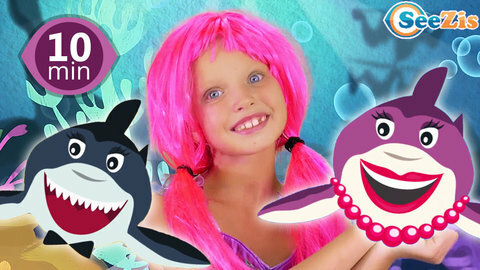 Whether your child loves baby shark, mommy shark or grandpa shark, he or she will love this colorful cartoon version. Go to SeeZisKids now and find more educational videos just like this.